Well this card was an inspiration I got when I woke up and realized it was time to clean up. 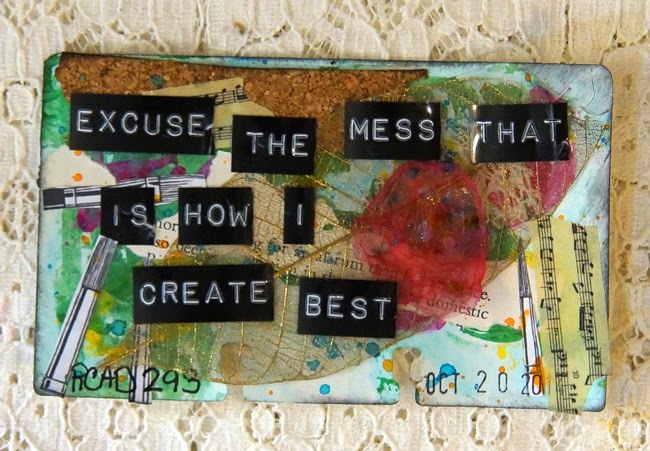 I don't know about you but I am very messy when I am crafting and just living. I get everything put away and cleaned up and with in an hour it is right back to the way it was. So I think I need a sign that say. Excuse the mess that is how I create best! LOL Well I have one now. This card may be framed and hung on my front door. Here is a quick process video for you. Thanks for stopping by and I hope you have a wonderful Monday!